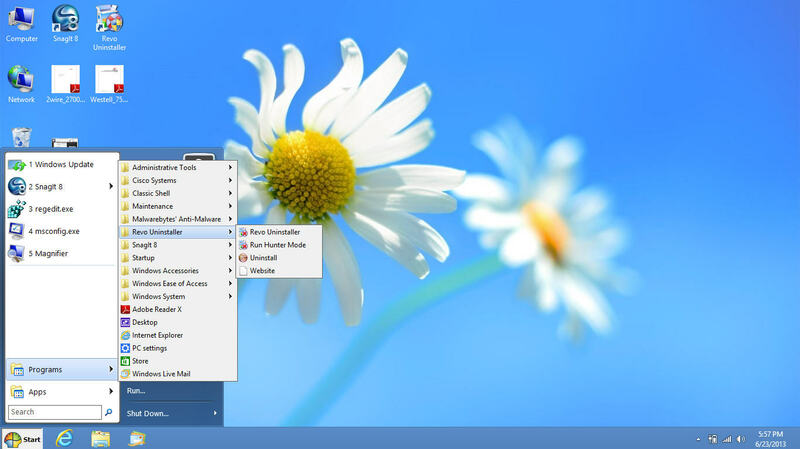 Can windows 8 be made to look and operate like windows 7? There are also many other screenshots on the Classic Shell website. I will always do my best to answer your question. Your satisfaction is my top goal. If you are not satisfied with the answer I provide, for any reason, please allow me to continue to help you (or recommend you for another expert or refund) rather than giving me a negative rating. A positive rating is always appreciated. A start button is now included, and you can even force it to boot to the desktop, making it look just like windows 7. However you will still have access to all of the windows 8 features if you need them. Best of all the upgrade is FREE is you already have windows 8 installed. let me know if you need my help further. Ican't get into facbook because of a mistake I made. I have installed PaperPort 14 Standard on my Windows 8 machine.